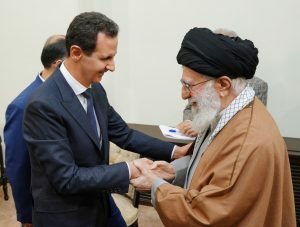 Tehran, SANA-President Bashar al-Assad met on Monday Supreme Leader of the Islamic Revolution of Iran Ayatollah Sayyid Ali Khamenei in Tehran. President al-Assad congratulated Mr. Khamenei and the Iranian friendly people for the 40th anniversary of the victory of the Iranian Islamic Revolution which has formed, over the past 4 decades, an example that should be followed in building a powerful state that is capable of realizing the interests of its people and of standing against foreign interventions. 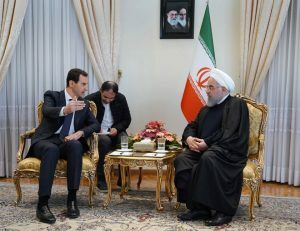 During the meeting, the two sides reviewed relations of strong fraternity which gather the two countries and peoples, affirming that these relations were the main factor in the steadfastness of Syria and Iran against the plots of hostile states which seek to weaken the two countries and destabilize them. The Supreme Leader of the Islamic revolution reiterated his country’s support to Syria until having its full recovery and totally overcoming terrorism, clarifying that Syria and Iran are the strategic depth for each other. Talks during the meeting dealt with the latest developments in the region. 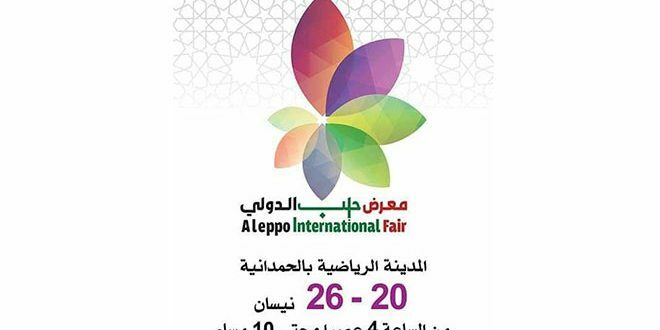 President al-Assad pointed out that to realize the interests of the peoples in the region, this requires their governments to stop yielding to the will of some western states, on top, America, and adopting balanced polices based on the respect for the states’ sovereignty and non-interfering in their affairs, particularly as experiments have proven that yielding and implementing the others’ dictates give outcomes that are worse than to be states of sovereign decision. 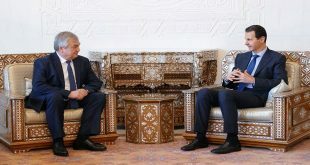 The two leaders stressed that the escalation policy and the attempt to spread chaos, adopted by some western states, especially against Syria and Iran, will not make success in preventing the two countries from going ahead in defending their peoples’ interests and supporting issues of the region and their just rights. 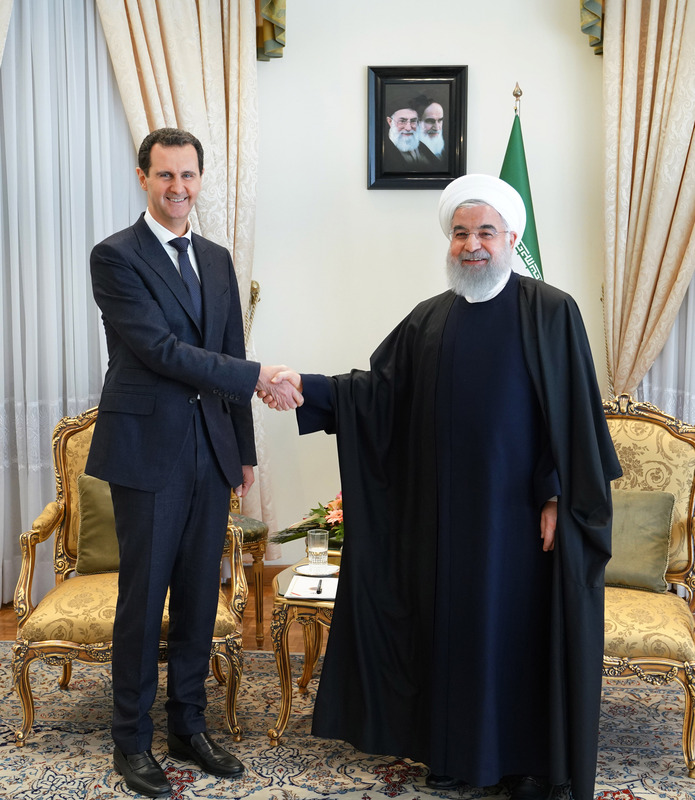 Later, President al-Assad met President of the Islamic Republic of Iran Hassan Rouhani with both sides expressing satisfaction over the strategic level to which the two countries have reached on all levels. 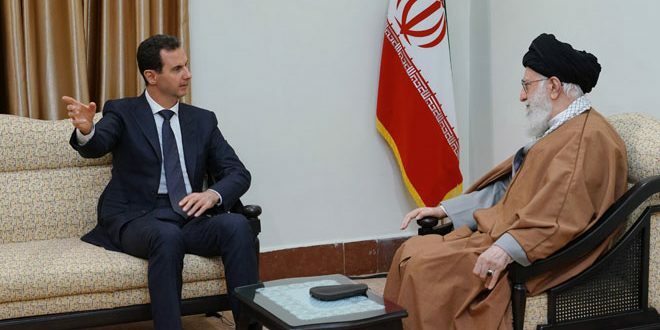 President al-Assad thanked Iran, as leadership and people, over what it has offered to Syria during the war, while President Rouhani affirmed that the support of the Iranian people to Syria was stemmed from a principled stance to support the legitimacy that resists terrorism. ” The victory of Syria is a victory for Iran and the Islamic nation as a whole,” President Rouhani said, affirming that Tehran will continue offering what is possible to the Syrian people to complete the elimination of terrorism and start the reconstruction process. 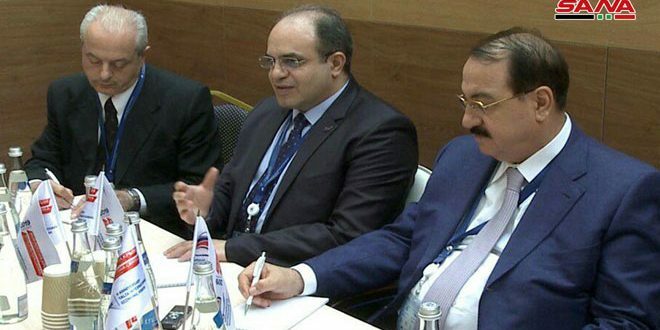 The talks also dealt with the efforts exerted in the framework of Astana to end the war on Syria. 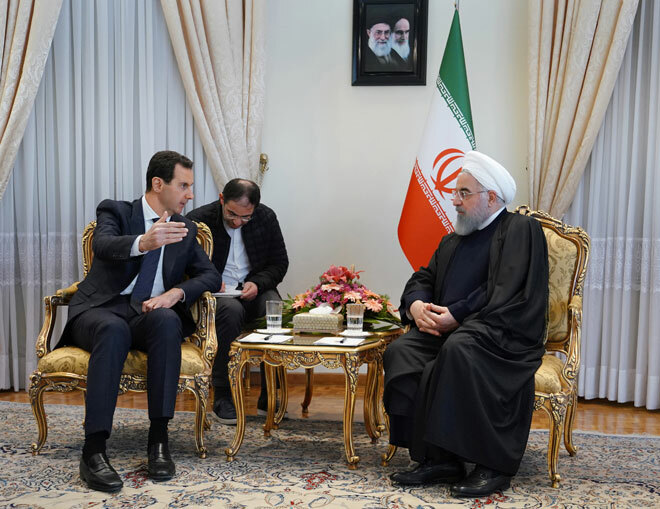 President Rouhani briefed President al-Assad on the image of Sochi latest meeting that brought together the three guarantor states within Astana framework. 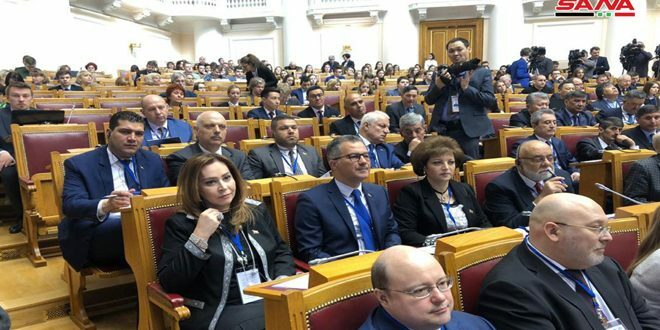 Viewpoints were identical on means of achieving the aspired-for progress in that framework in a way that keeps Syria’s territorial integrity, independence and sovereignty as well as eliminating terrorism on all its territory. 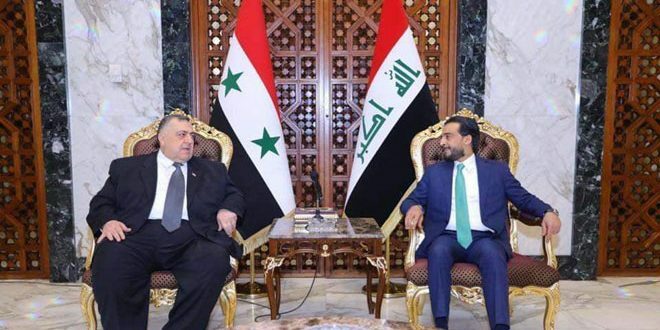 The two presidents agreed to continue coordination between the two sides on all levels in the interests of the two peoples. President al-Assad arrived in Tehran today in a work visit.